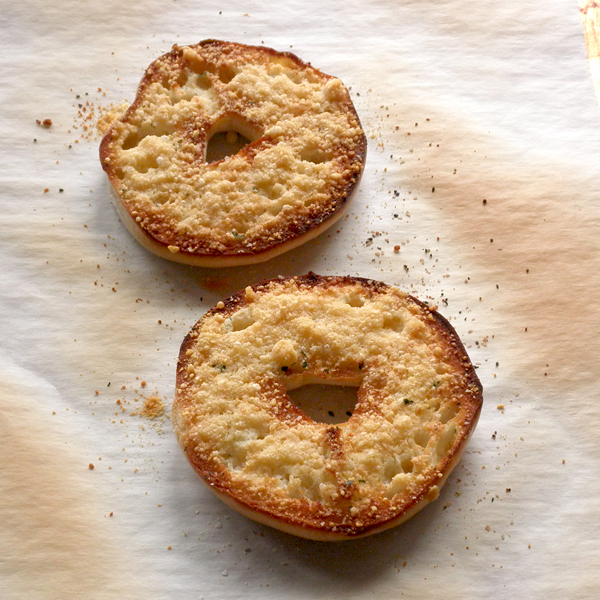 I think I started preparing my plain bagels like this when I was in college. I was living on my own for the first time, and I had bagels and no cream cheese. What I did have was butter. And garlic salt. And Parmesan cheese. And a toaster oven. 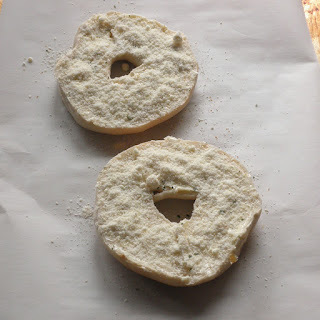 My mom used to do this with English muffins to go with spaghetti. 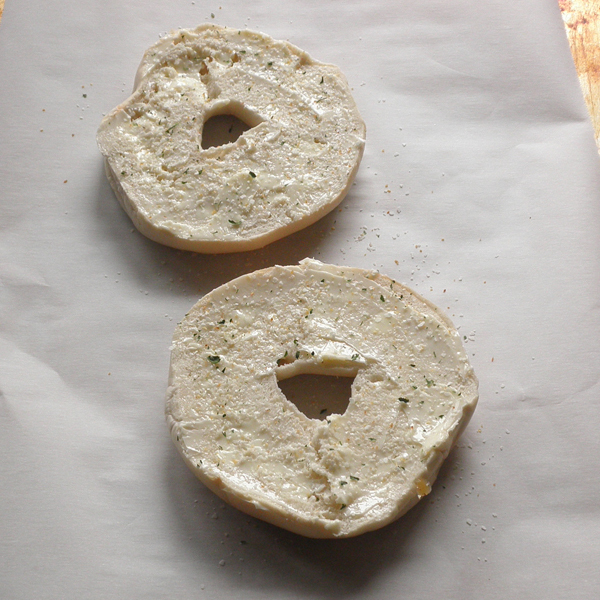 I think it was around the 90s sometime that bagels became more popular, so that's what I used. After making these the first time, I would make them somewhat regularly for breakfast. I'm a big fan of non-breakfast foods for breakfast, and anything with garlic fits the bill. I also used to enjoy Kraft Mac 'N Cheese for breakfast before my whole high blood pressure thing. I'm sure these babies aren't exactly low in sodium either, but I was home for a couple of hours all by myself, and besides napping, I guess I wanted to make something tasty and blog about it. 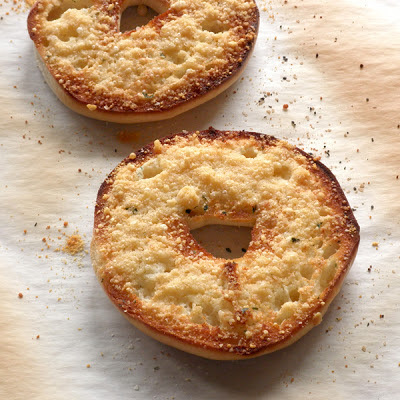 Today I had this Parmesan Garlic Bagel with some leftover chicken pot pie soup. I probably ate too much, but boy, was it all yummy. Preheat oven to 400 degrees Fahrenheit and line a baking pan with foil or parchment paper. Spread 1 tablespoon of butter over each of the cut sides of your bagel slices. Sprinkle with garlic salt. Sprinkle with the Parmesan cheese. Remove from oven and allow to cool a little before eating.